Langkawi, officially known as the Jewel of Kedah, is known for the home of beautiful islands and beaches thanks to its archipelago of 104 islands, as well as being a duty free zone. This results in the islands being popular among travellers to Malaysia regardless of seasons. Our tour packages offered enables you to have a look at the famous local batik arts, cruise around the islands, or dive into the beautiful waters. 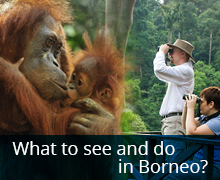 Either way, your vacation in Malaysia would be an unforgettable one with us.